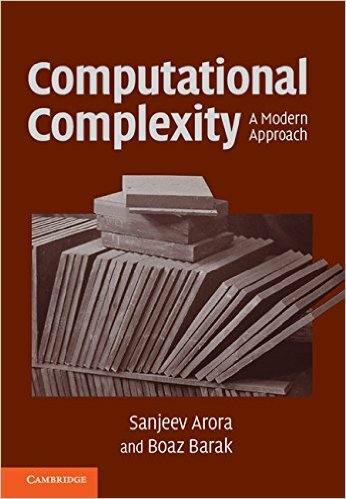 A draft of a textbook on computational complexity theory. Covers basic complexity classes, lowerbounds for concrete computational models, and some advanced topics. Sanjeev Arora wrote:Not to be reproduced or distributed without the author's permission. Computational complexity theory has developed rapidly in the past three decades. The list of surprising and fundamental results proved since 1990 alone could fill a book: these include new probabilistic definitions of classical complexity classes (IP = PSPACE and the PCP Theorems) and their implications for the field of approximation algorithms; Shor's algorithm to factor integers using a quantum computer; an understanding of why current approaches to the famous P versus NP will not be successful; a theory of derandomization and pseudorandomness based upon computational hardness; and beautiful constructions of pseudorandom objects such as extractors and expanders. This book aims to describe such recent achievements of complexity theory in the context of the classical results. It is intended to be a text and as well as a reference for self-study. This means it must simultaneously cater to many audiences, and it is carefully designed with that goal. The book will explain the context in which a certain notion is useful, and why things are defined in a certain way. Examples and solved exercises accompany key definitions. The book has three parts and an appendix. Part I covers basic complexity classes; it provides a broad introduction to the field and covers basically the same ground as Papadimitriou's text from the early 1990s -- but more quickly. Part II covers lowerbounds for concrete computational models; it concerns lowerbounds on resources required to solve algorithmic tasks on concrete models such as circuits, decision trees, etc. Part III covers advanced topics; this constitutes the latter half of the book and is largely devoted to developments since the late 1980s. It includes average case complexity, derandomization and pseudorandomness, the PCP theorem and hardness of approximation, proof complexity and quantum computing. Finally, the Appendix outlines mathematical ideas that may be useful for following certain chapters, especially in parts II and III. This book assumes essentially no computational background (though a slight exposure to computing may help) and very little mathematical background apart from the ability to understand proofs and some elementary probability on finite sample spaces. A typical undergraduate course on "Discrete Math" taught in many math and CS departments should suffice (together with the Appendix). 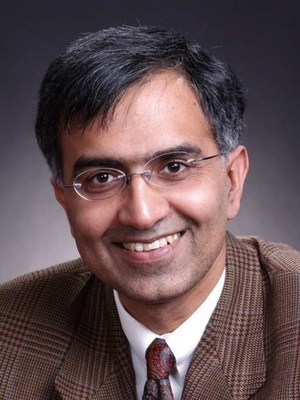 Sanjeev Arora is Charles C. Fitzmorris Professor of Computer Science at Princeton University. His research area is Theoretical Computer Science. 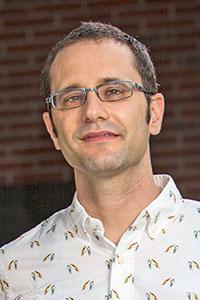 He has worked on Computational Complexity, Probabilistically Checkable Proofs (PCPs), computing approximate solutions to NP-hard problems, geometric embedding of metric spaces, unique games conjecture, complexity of financial derivatives, and provable bounds for Machine Learning. Boaz Barak is the Gordon McKay professor of Computer Science at Harvard University's John A. Paulson School of Engineering and Applied Sciences. Until January 2016 he will also continue in his position as a principal researcher in Microsoft Research New England where he has worked since 2010. His research interests include all areas of theoretical computer science, particularly cryptography and computational complexity.